During the early part of the 21st century the advantage of music education to students and young children have been the subject of various studies designed to determine the benefits of studying music to academic achievement. Although it is important to remember studying music does not make a child or young person smarter the benefits of learning a musical instrument can include a higher IQ and a higher level of discipline leading to academic success; in some cases learning musical skills can lead to a student achieving a scholarship to attend a music school in Malaysia, such as http://www.powiis.edu.my/. By learning musical skills a student’s brain is taught to operate in a different way than students who do not learn a musical instrument. The cognitive ability of music students is generally different than non-musical students; the ability to combine different tasks, such as reading music while interpreting the notes and transferring this to movement of the body increases the development of both the brain and muscles of the body. Scientific studies have shown the pathways of the brain develop differently in those studying music leading to an increase in cognitive ability. Development of the brain in music students from all social economic levels is also shown in language development of students. Musical skills are associated with the left side of the brain that are also used for interpreting and developing language used in academic subjects including English and Mathematics; students studied in scientific research have shown a higher level of attainment in tests completed in schools for subjects including English and Mathematics. Alongside the skills learnt involving academic attainment other skills, including communication and self-expression are also improved by taking part in musical education. Students involved in productions, such as taking part in a high school musical often have an increased level of self-confidence found through performance and the attainment of musical skills. By ensuring musical education is maintained in schools, regardless of whether they are public or private institutions a more rounded education system should lead to higher academic levels of achievement and the production of well-rounded members of society. Do You Know Why Parents Should Consider Boarding Schools for Their Children? You could read more. Parents always want the best education for their children. Regardless of the schools available close to them, they know that there are even more exquisite schools located internationally. These schools offer a different type of level of academics and extra-curricular activities than most local schools do. Not only do they offer a large array of courses, but they also open new doors for students which were once not available. For example, the diversified student body is a great way for the students to have an open mind towards different cultures and their traditions. There are many British international schools that encourage the students to work to the best of their ability. These English schools use many different teaching styles that the students may not have witnessed before. This, though, is not a bad thing. Being exposed to different teaching styles will enable the student to adapt to environments that they are not used to. This will also help them later on in life as not all scenarios they encounter will be uniform. Along with the British international schools, there are also the prestigious private schools in Penang. These schools, being private, have a body of students that have chosen to go there, rather than doing so because of convenience. The private schools in Penang also open doors for the students that may have been closed before. Attending a private school can also usually result in the student having to stick to a strict dress code. Along with the strict dress code, some private schools have strict rules and regulations that the students are expected to follow. These schools do not mess around when it comes to their rules. Those students who frequently break the rules may be expelled from the private institution. A great site that can give parents an idea about international schools is http://www.powiis.edu.my/. This site explores the different areas of the Prince Of Wales Island International School. This school is a great English school that is very prestigious and selective in their acceptance process. Just like other international schools, parents have different options when it comes to the boarding of their children. Some choose to let their child have their own room, while other parents encourage the child to share a room with a fellow student. This is a great experience for the students and they will leave the educational facility with more than what they went in with. Finding a career that you will enjoy for the rest of your life is such a critical road on the path to happiness. Nowadays, if you want to go into medicine, you have to have a medical degree in order to do so. But how do you know if medical education is right for you? Do you get a thrill from helping people? One of the major reasons that people go to a medical college is because they want to help other people. If you enjoy helping other people to feel better, then going to school for this could be a good career choice for you. Some people say that there are few rewards as good as making other people feel better. This is oftentimes true because when you are focused on the well being of others, you forget about your own troubles and this makes you a happier individual. Are you motivated by math, money or science? These are all excellent reasons to go into a health career. On top of that, one of the most secure jobs in the world is in the health field because unfortunately, people are constantly getting injured. The demand for health professionals is not going to decrease any time soon. Figuring out your motivations for going into the health field can give you more reason to work hard at getting your medical degree. Would you like to study in a unique manner? For example, there are certain programs available that would allow for you to study medicine in Russia. If you have an adventurous spirit, then doing something like this could be right down your alley, and it would make your career feel that much more meaningful. Starting off your education with something meaningful is something that will keep you motivated to continue on when the going gets tough. Do you have the personality and right skills for the healthcare field? If you are not a big fan of mathematics and science, then this is not the best career for you. By going into the medical field you will be taking a large majority of your classes in these areas. Figuring out if a medical education is right for you is one of the first things that you should do. The last thing that anyone wants to do is to get a degree for something, and then find out that they hate the field that they are working in. It is best to figure out early if you enjoy or hate field versus finding out after you have went to school for it. Do you know the Types of Medical Education in Colleges? 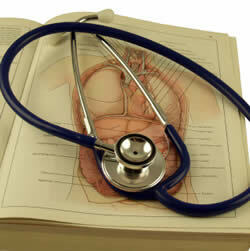 Browse this site to learn more about medical education. Have you ever wondered what it takes to become a Physician? Well, this article will briefly describe the steps necessary you need to complete for becoming so you can reach your goals in your field of choice. There are a few terms that you need to become familiar with in order to have a better understanding of what the medical field entitles. First, you need to know that a Medical Education is the initial step to become a Physician, which varies across the States. For instance, one state may require you to fulfill certain requirements that are not necessary to complete in another State. In the United States, it takes four years to have a medical degree. The requirements for graduation are to complete an “Internship” in any specialty of choice. After the internship is completed, Medical education requires a Residency, which is another requirement of Medical school whereby the resident physician practices medicine under the supervision of a licensed physician in a hospital setting. In addition to this, Physicians are required to complete a Fellowship, which is a training specialty where Physicians can act as the attending Physician in the area of choice in which they were trained. While a Board Certification is not mandatory for Physicians to provide services in the medical field, it is preferable to have it. A Board Certification signifies that the Physician of your choice will continue to strive for more knowledge acquisition which leads to higher quality treatment, and more expertise. Licensing is another important step that any Physician who wishes to work in the United States must complete. The licensing is regulated by a government agency such as a medical school whereby a graduate student must pass a series of examinations by a Medical Board. Therefore, not everyone who completed studies in the medical field can legally practice medicine in the United States, unless they become licensed. The licensure requirements are usually met in a period of 3 to 6 months. Of note, many things are taken into account to bestow the right to practice medicine in the United States. For instance, training, background checks, among others. A Medical University means that you can get a degree while working in a hospital setting. On the contrary, a Medical College provides education for medical students pursuing advanced degrees but not taught in a hospital setting. The Medical courses usually required in Medical school are: Physics, English, Advanced Math, Biology, Chemistry, and Anatomy. Although the United States offers a great background education for medical students, Russia has a high quality education system as well. It is fascinating to study medicine in Russia because there are approximately more than 50 medical schools. These schools meet the best standards with well-equipped labs and highly experienced professors that guide their students along the way in their course of study. Overall, whoever wishes to study Medicine in a specialized institution, they must consider Russia and the United States as their place of choice because they both offer great education for future professionals. You should discover these Top 5 Medical Colleges Or Universities Around The World. Starting an ice tea stand can teach your kids many valuable life lessons that will be valuable for the rest of their life. For one it can teach them the value of money and it also teaches them supply and demand as they choose how much to price the ice tea, what weather to sell in, and where they should locate their stand. These are all chances to teach your youngsters important things that will give them a head start as they get older. Starting a ice tea stand will also teach them to love business and entrepreneurship, and those are always valuable things to have. 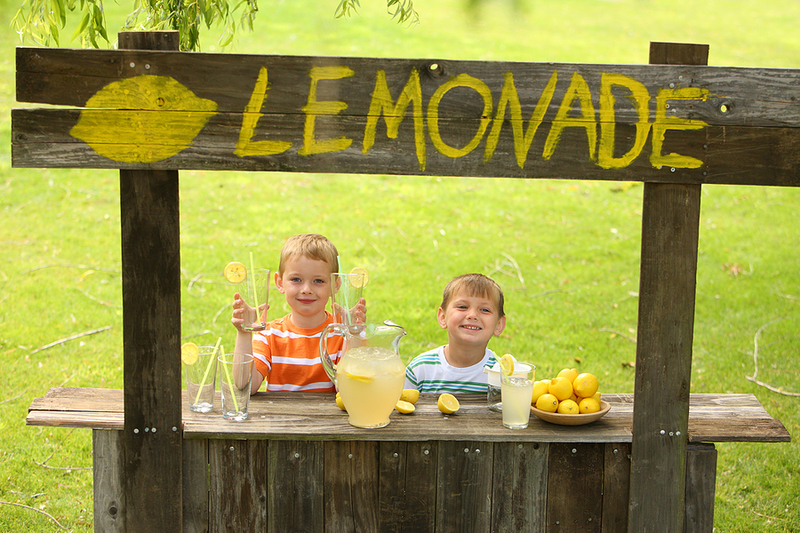 I highly recommend that you encourage your kids to start an ice tea or lemonade stand this summer or at least try and teach them these valuable lessons in other ways. They will thank you for letting them start one later when they are multi-millionaire entrepreneurs! “Mix things up” is more than a nonconformist’s credo – it is one of the keys to SAT success. SAT, which stands for Scholastic Aptitude Test or Scholastic Assessment Test, is a popular admissions test for enrollment into tertiary institutions in Singapore. Some SAT sections are structured so that easy questions precede the medium questions which precede the hardest questions. In these sections, the sequential approach makes sense. The student spends the minimal time up front answering the easy and medium questions successfully, and then leaves whatever time remaining for the hard questions at the end of the section. But not all SAT sections are structured in this way- sometimes hard questions will randomly appear in the first 5-10 questions, sometimes multiple times. In these cases, failing to skip hard questions and come back to them later can be a costly error. Students will waste time and increase their stress level by getting hung up on the early difficult questions. This will reduce the time left to tackle easier questions later in the section. Because each SAT question, regardless of difficulty, is worth the same, test takers who err in this fashion needlessly cost themselves points. According the professional SAT tutor Mr.Chee Yew Wen said that, the correct strategy is to identify a difficult question within 30 to 45 seconds of beginning to attempt it, put an asterisk, star or other mark next to the question number, and return to it later after all of the easy, medium and other “doable” questions in the section have been done. By saving the hardest for last, students increase their chances of achieving a top score. If you are looking for a good SAT preparation course in Singapore, admissions prep specialist ICON+ offers a number of SAT courses from S$1,590. The school has a reputation of producing at 85 per cent graduates that score higher than the worldwide average. Apart from SAT, ICON+ also provides TOEFL, GRE and IELTS preparation courses.